My mind has been holiday and DIY focused this week so I wanted to share some of my Pinterest favorites. 1. How to Make A Custom Hot Glue Gun Stand– this was a definite forehead slapper. My poor hot glue gun has been cursed from here to the moon because the “kickstand” doesn’t work. Or it at least stops working once you put a glue stick in it. 2. DIY Gold Glittered Serving Tray– I love God, my family, pumpkin and glitter. 3. 10 Painting Tips and Tricks You Never Knew– An easy way to silver leaf? She’s got it. Feel free to add metallics onto the list of things I love. 4. Hand-Lettering for Beginners– Confession time: I’m super jealous of people who have handwriting that looks worthy of the Etsy homepage. 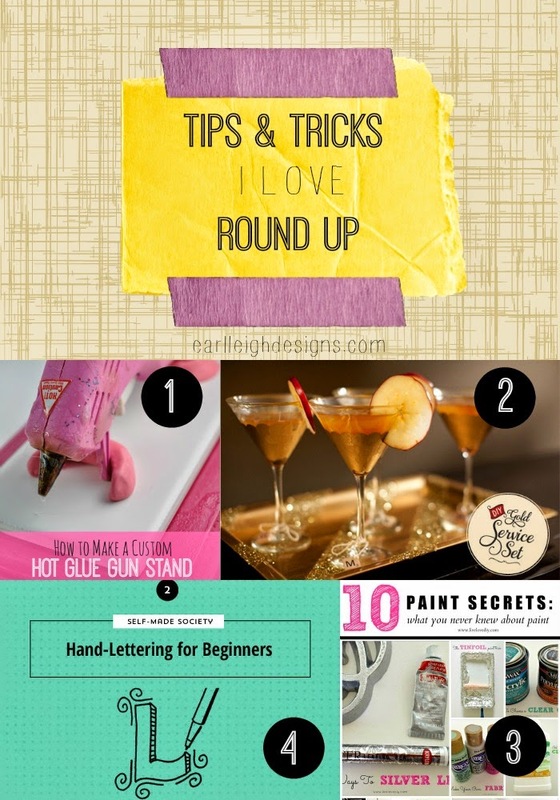 A lot of the DIY projects on my list involve lettering and stencils don’t always cut it. Have a great weekend! I gotta get ready for “Boo at the Zoo”. Please pray/send good vibes/whatever you do, that my child doesn’t act a fool over other people’s costumes. I desperately hope that your child acts a fool. I want pictures. All the same, God speed.